Beginner drones are often cheaper because they offer fewer bells and whistles. In addition to beginner drones, there are some high-end drones that are also suitable for novice pilots, and we’ll talk about those in this guide too. 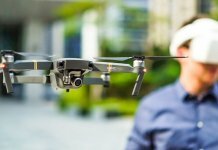 We will recommend the best drones for complete novices as well as advanced beginners looking to take their skills to the next level.There aren’t a lot of drones that feature both high-quality cameras and propeller guards, but DJI manages to have multiple beginner drone offerings that are among the best on the market. So, without further delay, let’s take a look at their best beginner drones! 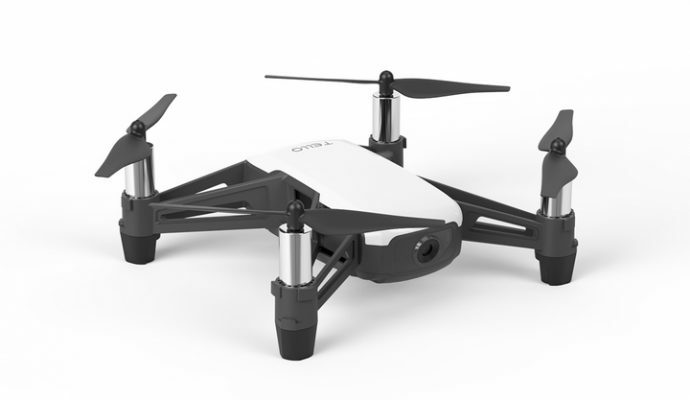 Tello is the ultimate beginner drone. Ultra-affordable at only $99, the Tello is in everyone’s budget, but that doesn’t mean you’re skimping on technology. 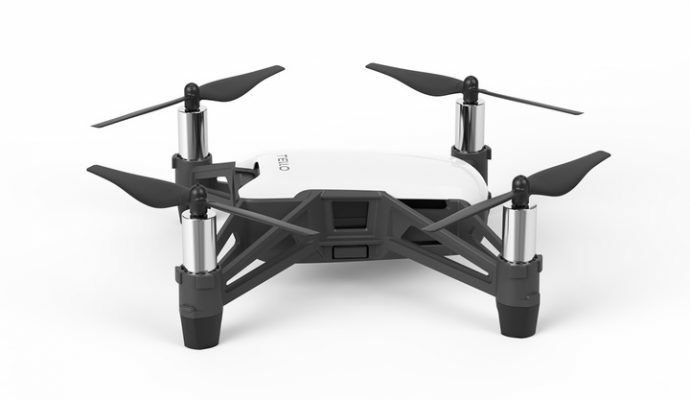 Despite being a mini-drone, Tello still features advanced DJI technology to make it super easy to fly, even right out of the box. One of the best beginner drones with a camera, Tello’s 5 MP camera adds a whole new dimension to your selfie game. We mentioned Tello was tiny, but did we mention that it’s only 80 g? 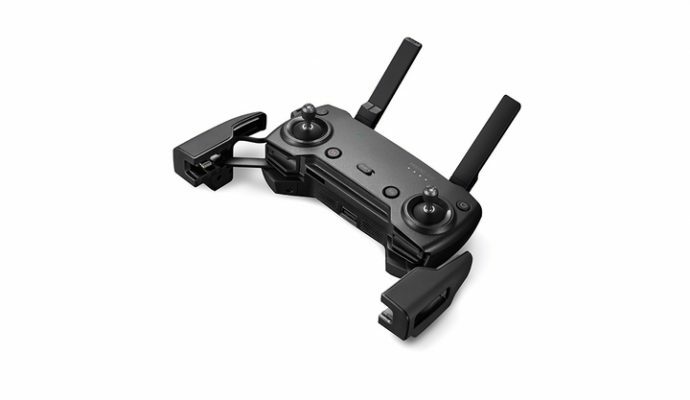 Its ultra-lightweight design makes it super easy to fly, solidifying its case as one of the best drones for beginners. 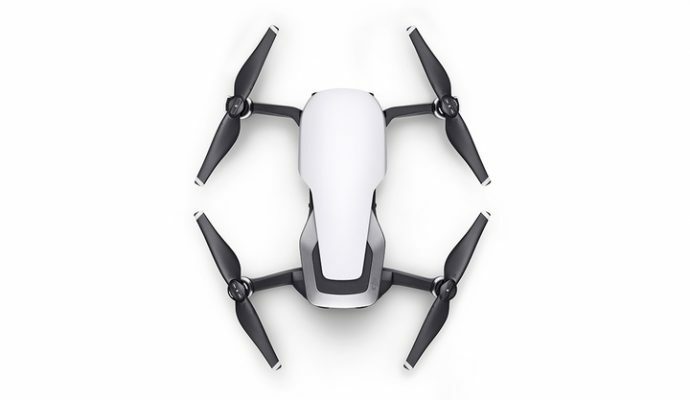 In addition, safety features such as propeller guards and a durable design make it a perfect first drone for new pilots to hone their skills. Worried that you’ll get bored? Think again! You can program flight routines using Scratch (a computer language developed by MIT), as well as perform impressive aerial maneuvers, including flips in up to 8 directions. 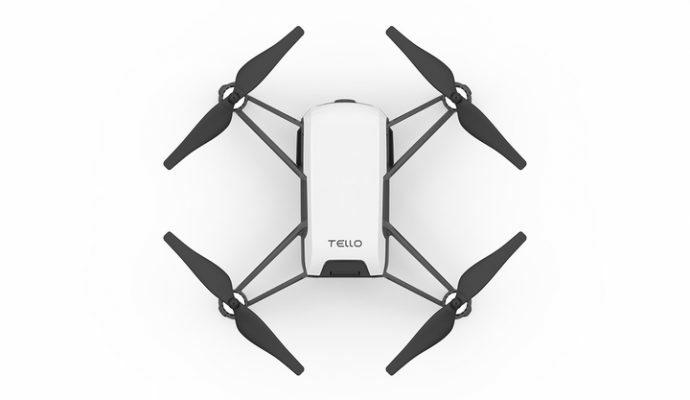 The Tello is a perfect drone for beginners looking to learn the basics of flight, or for more experienced pilots looking for a ton of fun in a small package. 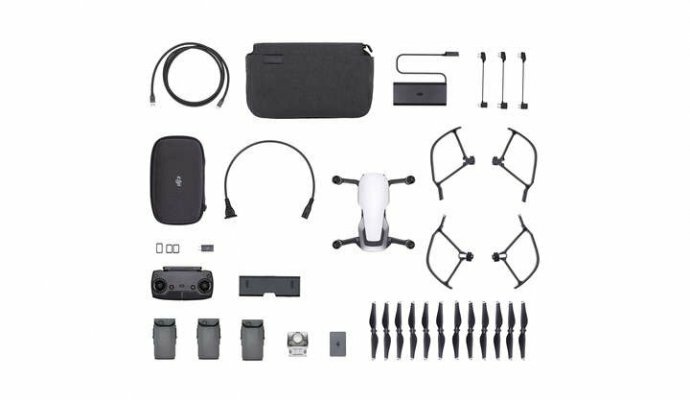 DJI Spark Check the Price! No list of beginner or mini drones would be complete without DJI’s Spark. 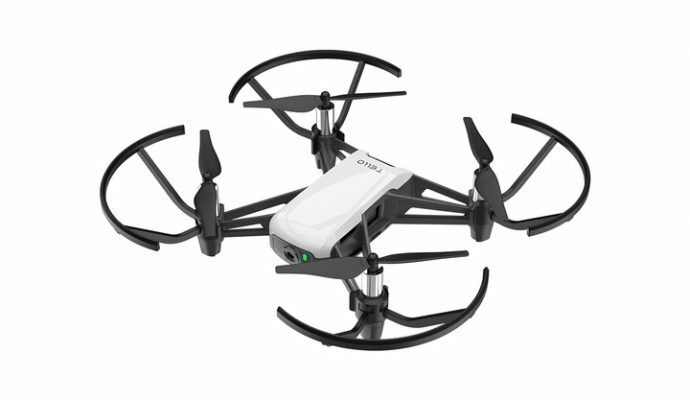 Fun, easy, and approachable, Spark is the perfect starter drone for groups of friends and indoor recreation. 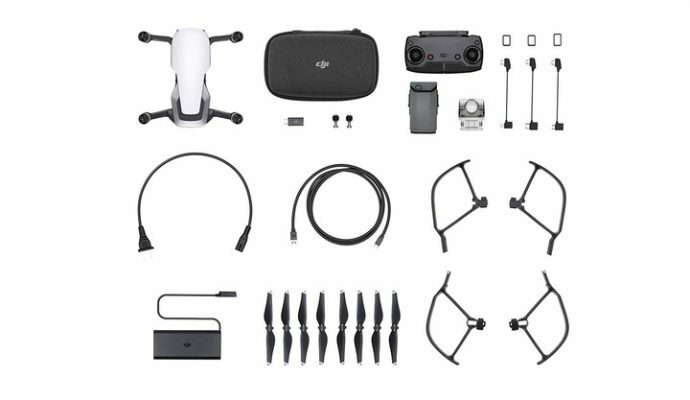 Despite its size, Spark packs quite a punch with DJI’s signature technologies, a high-quality camera, and a stable gimbal. And the best part? Gesture Control. Once you’ve controlled this thing with your hand, you’ll understand how easy and exciting it is to fly! It takes roughly 10 seconds to take Spark from your pocket and perform a palm launch. There’s no need to pair Spark with a remote controller or mobile app. Simply raise your hand, and it will enter gesture control mode. Wave, and it will fly back about 20 feet. Next, make a square with your fingers, and Spark will snap a photo of you and your pals. After that, lift your arms to call it back to you. Don’t let its small size fool you; Spark incorporates a 12 MP camera with a 2-axis gimbal for incredibly smooth aerial shots. Even as a beginner drone, Spark’s camera offers image quality that bigger, more expensive drones would be envious of. In addition to Gesture Mode, Spark features additional intelligent flight modes like QuickShot, ActiveTrack, and TapFly. A vision sensor on the underside of the aircraft lets Spark hold its position indoors. 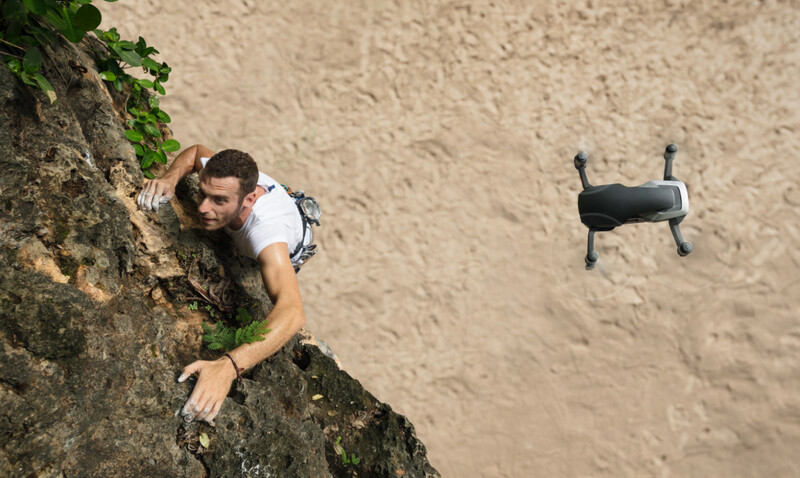 If you’ve been dreaming about a drone to snap aerial selfies with friends, there’s no other choice but Spark. 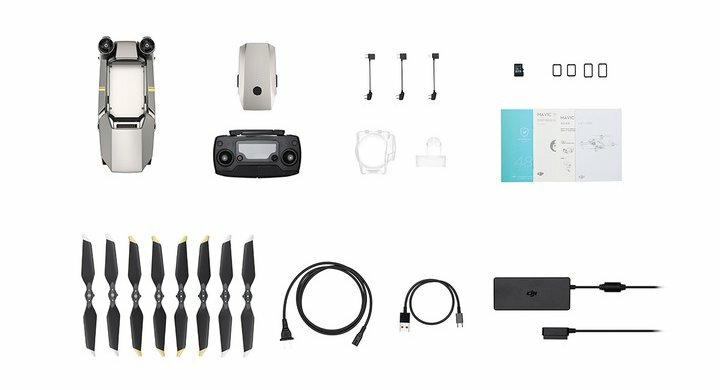 Learn more with our DJI Spark In-Depth Review. 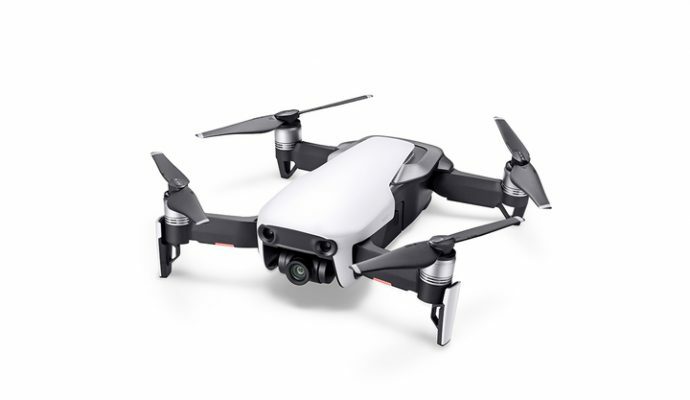 Mavic Air Check the Price! 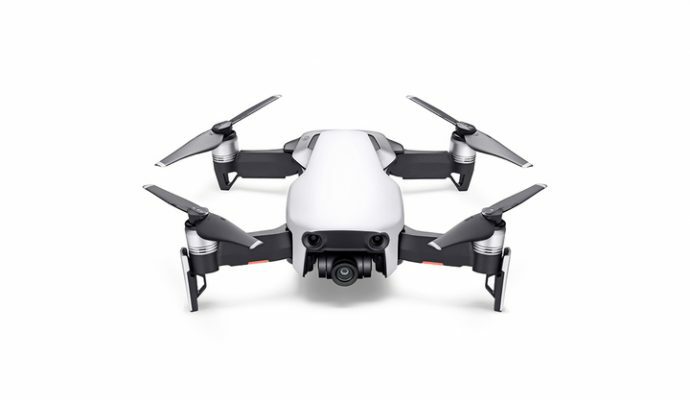 Sitting right in between the Mavic Pro and Spark, the Mavic Air is great drone for beginners and the perfect balance of power and portability. 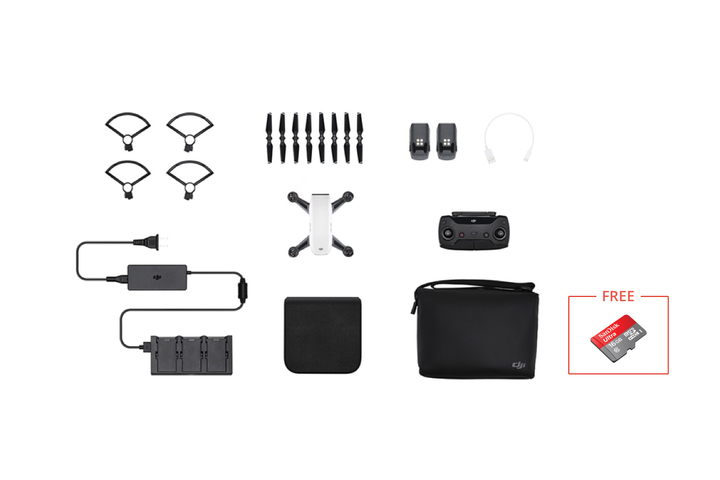 Built to accompany you on all your adventures, the Mavic Air is half the size of the Mavic Pro while packing nearly all of the same great features. 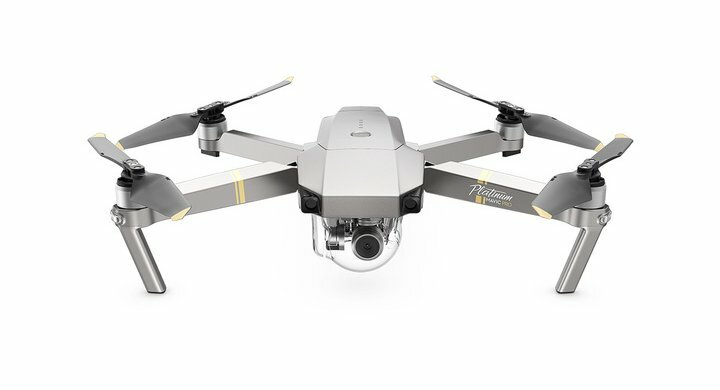 Let’s take a closer look at what makes the Mavic Air such an excellent choice. The first thing every new drone owner worries about is flight safety. No one wants to be the person who crashes their drone on a maiden flight. Fortunately, the Mavic Air has a number of practical safety measures built in. 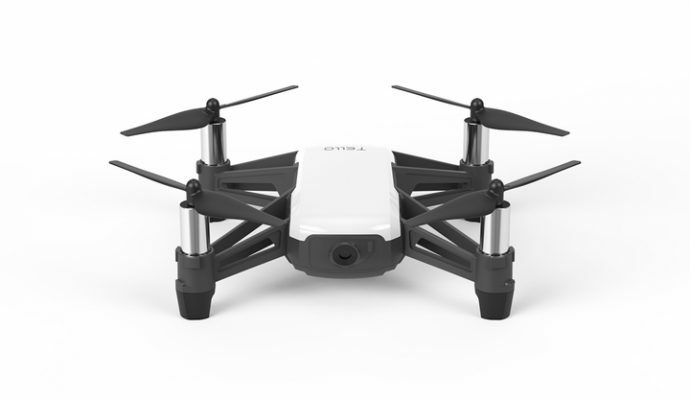 It has stereo vision sensors on the front, back, and bottom that sense the environment while you fly. These form the basis of the Advanced Pilot Assistance Systems (APAS), which tells you where it’s safe to land and even avoids objects automatically when flying for unparalleled safety. 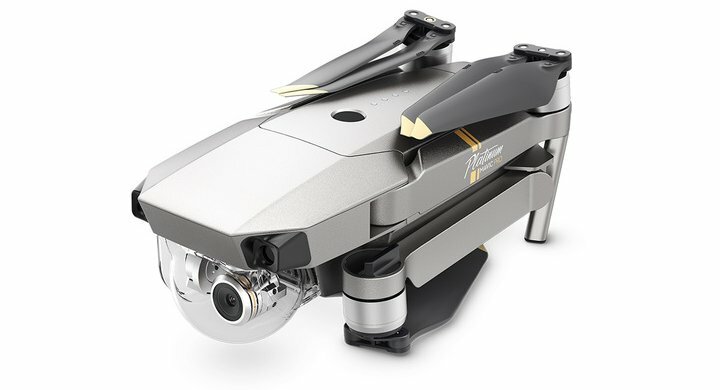 The Mavic Air is designed to be ultraportable and folds down to the size of a smartphone ideal for those traveling with their drone in a backpack. For those looking to capture life on the go, intelligent and intuitive features such as ActiveTrack, QuickShots, and SmartCapture make taking complex, moving shots super easy. ActiveTrack identifies a subject and can follow along without the need for any extra equipment. This is great for capturing stunning views of a scenic hike, or can even follow you on a bike ride! The Mavic Air is a wonderful drone to pilot, but it’s more than just an easy-to-fly drone for beginners. It’s also an excellent aerial camera. 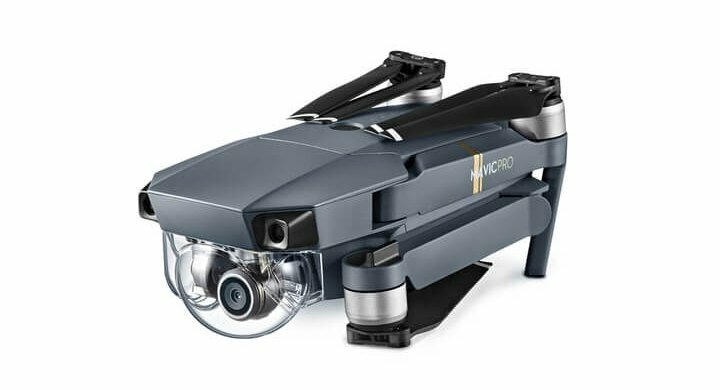 The Mavic Air is equipped with a 12MP, 4K camera that can shoot both JPG photos and DNG RAW. A 3-axis mechanical gimbal ensures that all of your aerial footage will be as smooth as possible. An extra 8 GB of internal storage let you save photos and videos directly to the aircraft. There’s even an option for live streaming to YouTube and Facebook if that’s your thing! Check out our Mavic Air unboxing and in-depth Mavic Air review! 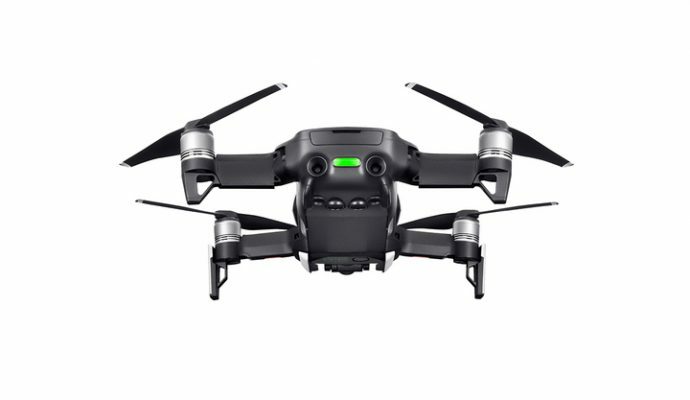 Mavic Pro Check the Price! 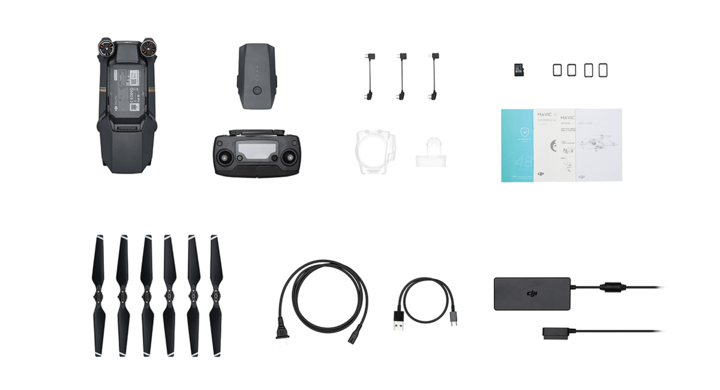 If you’re a global nomad looking for a portable, easy-to-use drone with high-quality camera capabilities, then you’ve more than met your match with DJI’s now iconic Mavic Pro. 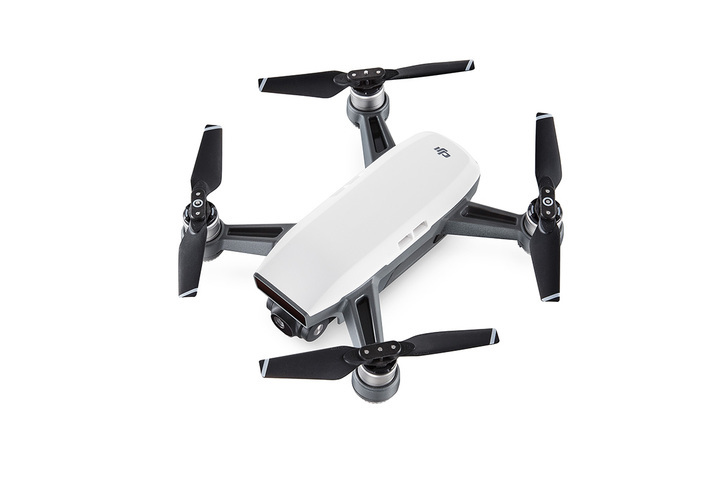 This powerful, foldable drone will help you capture ultra-sharp images of your exotic lifestyle wherever you go. 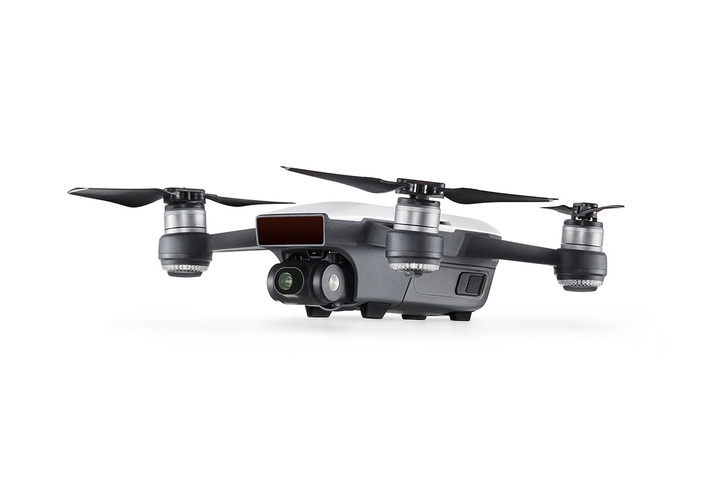 While the Mavic Pro offers a professional-grade camera and is capable of expert-level maneuvers, there are also plenty of basic flying features for entry-level users. 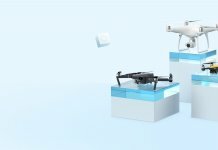 DJI designed a Beginner Mode specifically for novice pilots. When flying in Beginner Mode, the Mavic Pro places restrictions on how high and how far you can fly. This means you don’t have to worry about losing sight or control while you’re learning the basics. Once comfortable with flying in Beginner Mode, you can graduate to Tripod Mode. We always recommend that you learn to fly outside first and in windless conditions. After that, you can start to move on to more advanced maneuvers and locations. With up to 27 minutes of flight time, the sky truly is the limit. While practicing your flying skills, also be sure to take some stunning aerial shots. A 3-axis gimbal stabilizes a powerful 12 MP camera capable of shooting 4K videos, making it easy for beginner drone pilots to get professional-grade shots. You can save your shots as either JPG or DNG RAW for even more post-processing capabilities. 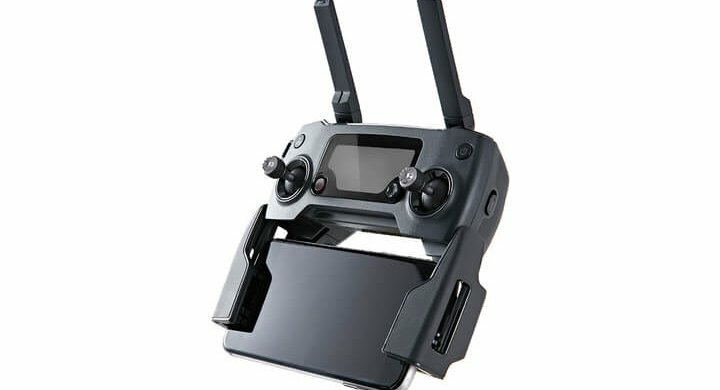 Mavic 2 Check the Price! 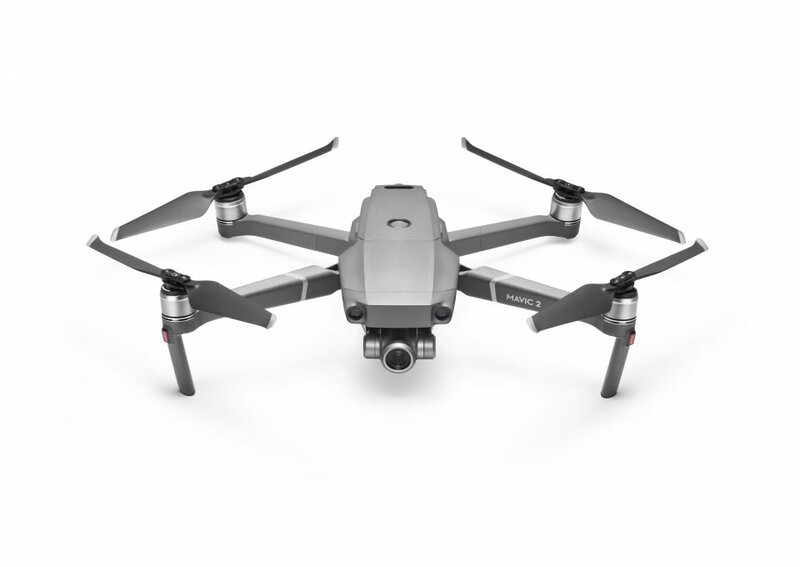 The Mavic 2 series is great for beginners who want to achieve professional shots from their very first flight. 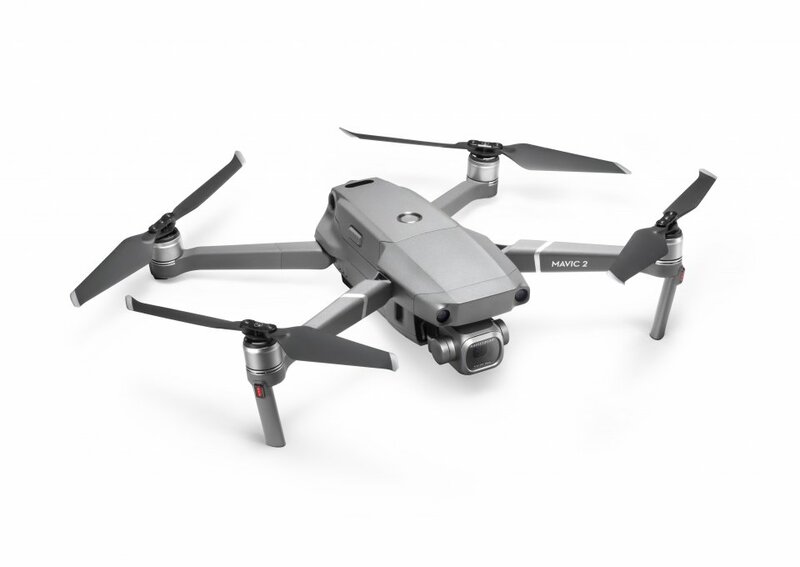 Designed to be resistant to wind and incredibly portable, the Mavic 2 is a fantastic choice for new aerial photographers who are looking to create truly awe-inspiring work. 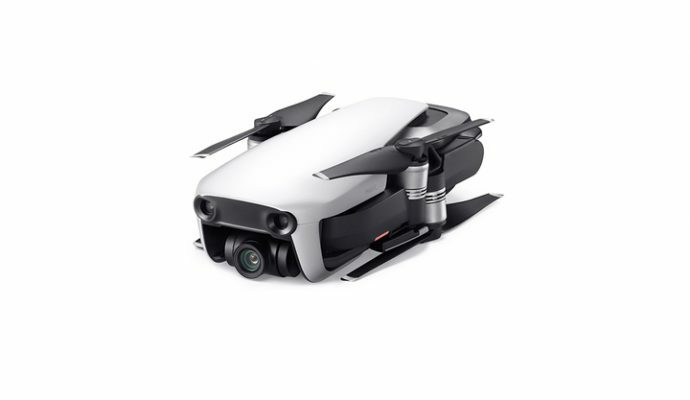 Whether you are looking to break into the film industry or want to up your photography game, the Mavic 2 provides you with an endless array of options to create a perfect shot from the get-go. 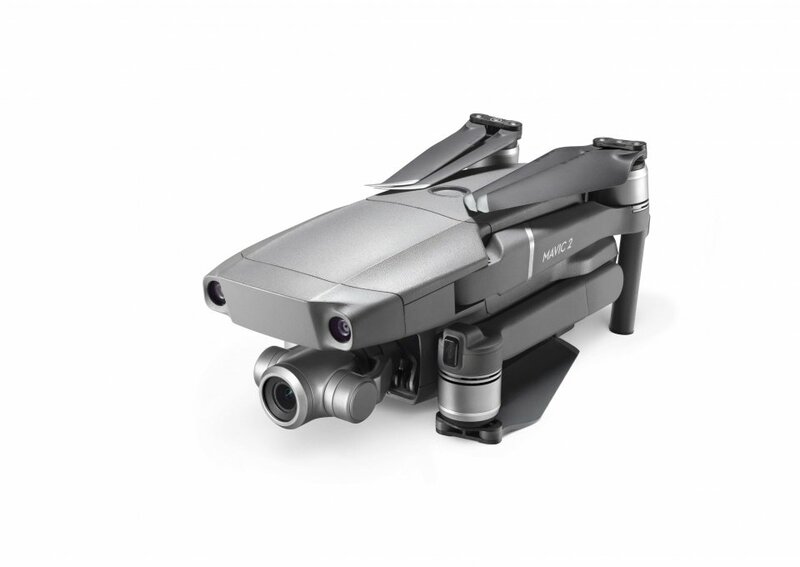 The Mavic 2 Pro comes equipped with the high-quality Hasselblad camera, capable of capturing beautiful 20-megapixel shots in stunning color detail thanks to the Hasselblad Natural Color Solution. This camera will give your beginner creations an advanced and professional edge. 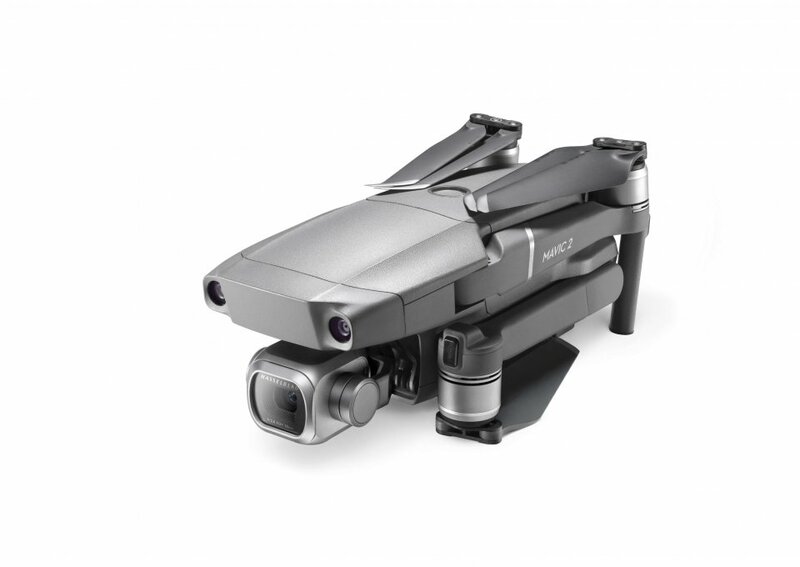 The Mavic 2 Zoom’s 24–48mm optical zoom camera supports shooting at 4x lossless zoom 1080p video, allowing you to capture amazing shots from a safer distance. This feature is perfect if you prefer shooting from a distance, or intend to capture animals or sporting events from afar. 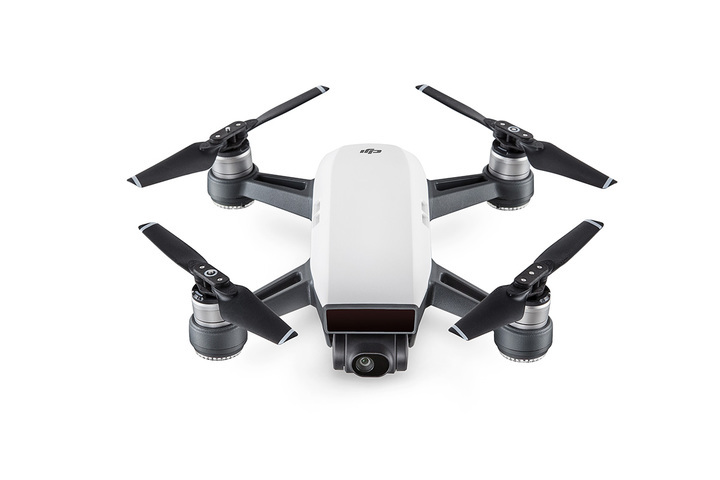 Whether you’re a first-time pilot or someone looking to expand and improve your skills, DJI has an impressive number of drones that perfect for every situation. Spark and Tello are awesome mini-drones that are perfect for beginners looking to learn how to fly. 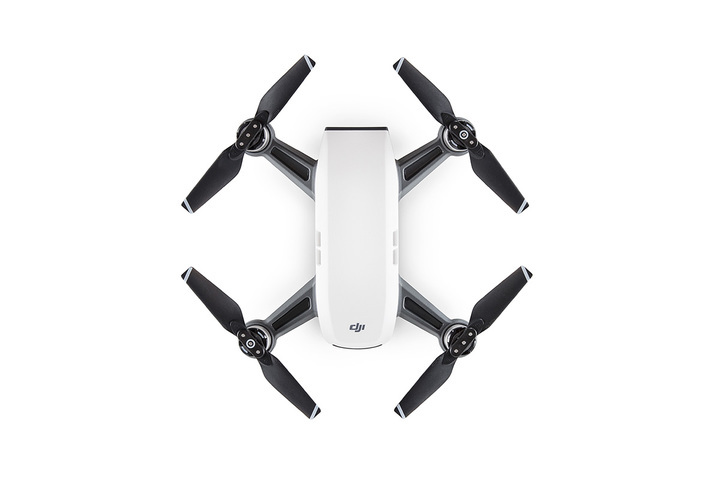 While they are super compact and lightweight, they can both take impressive aerial shots, or just snap some fun selfies of you and your friends. 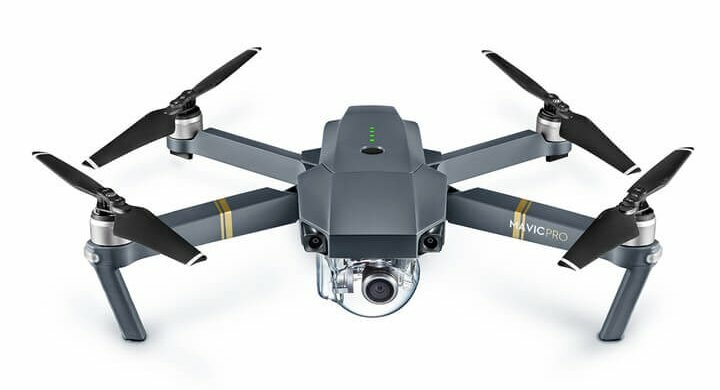 The Mavic Pro, Mavic Air, and Mavic 2 are DJI’s slightly more developed offerings, but they are still incredibly easy to fly and are a great choice for beginning drone pilots. Once you’ve got your wings, you’ll never get bored as there are multiple different intelligent flight modes you can master to get world-class shots! 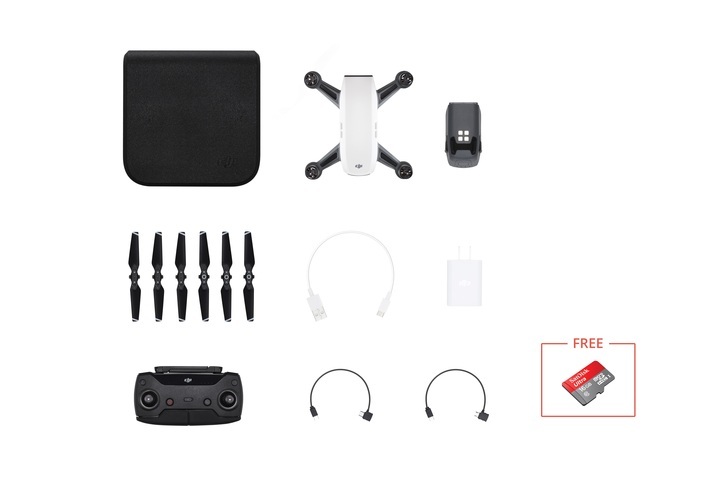 Visit the DJI Store now for a further comparison of the specifications of each of these beginner drones!